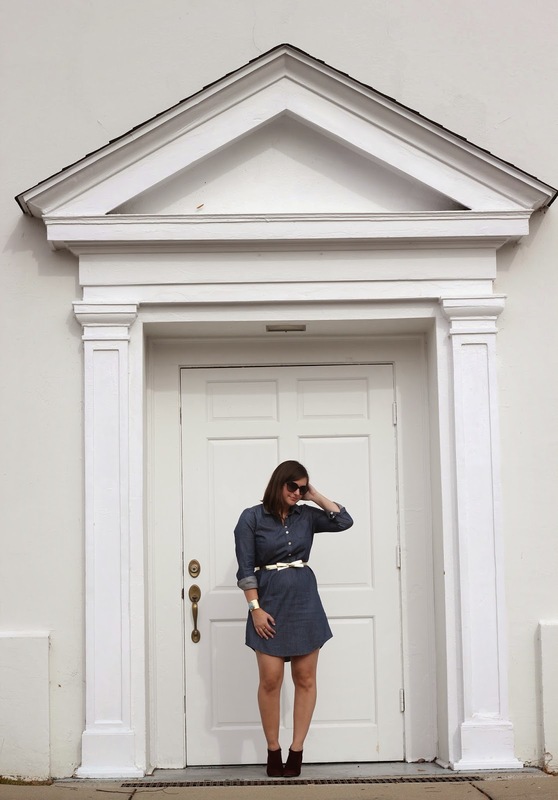 The belt is such a pretty accessory for this dress. Love the background you chose, too! Super cute. Love the denim dress. Have a lovely Sunday sweety. I love your belt! Sooo cute with the bow.